To assess the outlook for grantmaking in Minnesota in 2011, the Minnesota Council on Foundations (MCF) conducted its 2011 Outlook Report survey in October and November of 2010. The survey asked grantmakers to predict how their 2011 giving will compare to 2010. A total of 118 organizations responded, representing about 65 percent of annual grantmaking in the state. Foundation giving is expected to stabilize in 2011 following two years in which grantmakers anticipated declines. 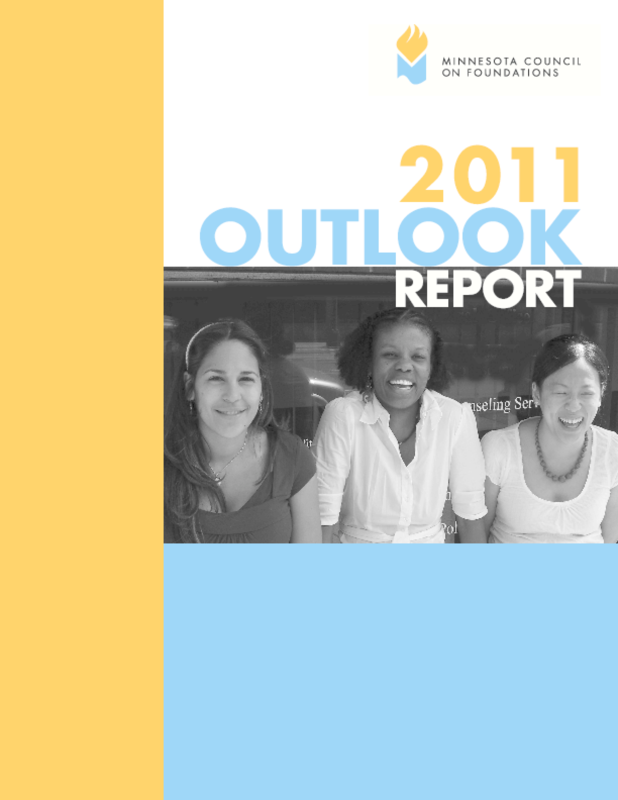 According to MCF's 2011 Outlook Report survey, indicators also signal that Minnesota grantmakers are more optimistic about their giving in 2011 than they were at this time last year. Copyright 2011 Minnesota Council on Foundations. All rights reserved.